The present church was built during the reign of Elizabeth I on the site of at least two previous churches. Its style is a combination of both Gothic and Renaissance. The beautiful oak timbered ceiling, crafted in typical medieval style has been described as one of the finest examples in England. The tower, which was believed to have been built in the 14th century, was left untouched when the church was rebuilt in the 1580s. The spire which surmounted it was struck by lightning in 1814 and finally blown down in a great storm in 1822. It was rebuilt but only lasted 45 years and in 1867 both tower and spire were rebuilt. Other changes to the church include the building of vestries at the east end of the church in 1913 and the erection of the Peace Gate, in 1926, as a memorial to those who lost their lives in the First World War. The church contains much of historical interest stretching back over many centuries which makes it a prime attraction for visitors. Water damage to the organ in the late 1960s and early 1970s meant that a new instrument was required. In a brave and visionary step the organ and choir stalls were re-located at the west end of the church, where prior to Victorian times musicians had traditionally been seated. The architect, George Pace, then reordered the the sanctuary, creating a spacious, peaceful setting for the 18th century altar. This also opened up the Duxbury Chapel and in the last years of the 20th century the final two windows were given stained glass. The first depicts the apostles at Pentecost and completes the New Testament cycle. The second is a unique celebration of Standish, its Christian faith and future, combining local scenes past and present. 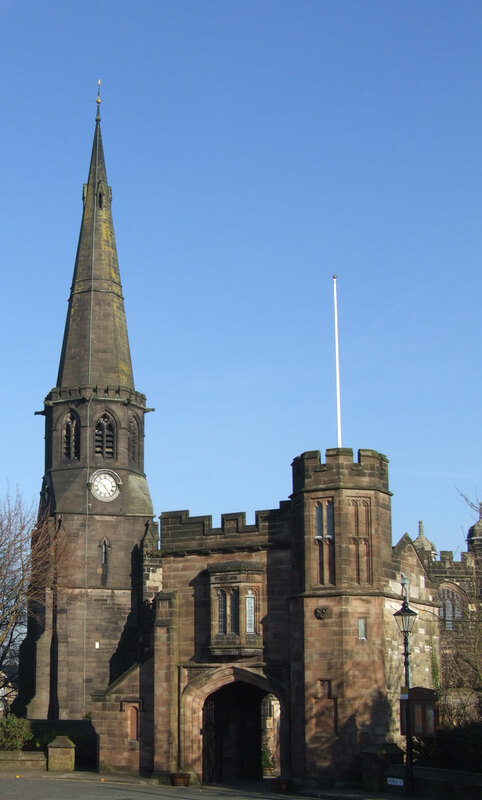 These include Standish Hall, coal mining and cloth works, all three current churches of the village, the High School and many other distinctive features.